Marie-Claude Grégoire has been a staff Physician and Researcher with the IWK Palliative Care team since 2009, bringing much energy and enthusiasm to her care of children, teens, and families living with life-threatening and life-limiting illnesses. She is known around the hospital to have puppets in her bag and they always bring a smile to people’s faces. 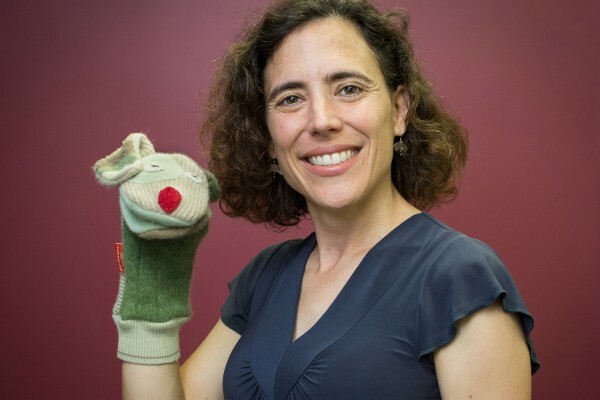 Marie-Claude is also an Assistant Professor at Dalhousie School of Medicine teaching Pediatrics and Anesthesiology. She lives in Halifax with her husband, Andrew Dacanay. Symphony lovers will recognize Marie-Claude’s smiling face. She is a loyal subscriber and a regular in the audience at performances throughout the season. An ardent Symphony supporter, she contributes annually as a Musical Chair donor and participates on the Symphony team in the Bluenose Marathon. She has also included a gift to Symphony Nova Scotia in her will. We recently caught up with Marie-Claude, and she shared her thoughts on her commitment to Symphony Nova Scotia. How did you become involved with the Symphony Nova Scotia? Why do you support the Symphony as a donor as well as a subscriber? How did you come to the decision to leave a gift in your will? What advice would you give to someone considering a gift made by bequest?